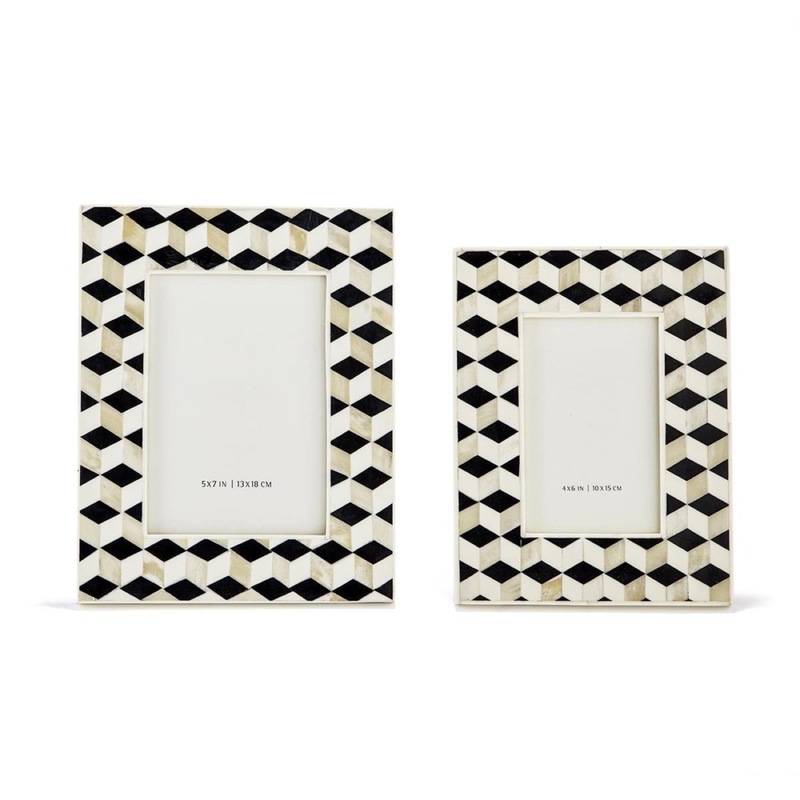 Boasting a striking cubist pattern in tones of black and white, these geometric optical illusion frames draw in the eye to show off your favorite 4" x 6" and 5" x 7" photographs. 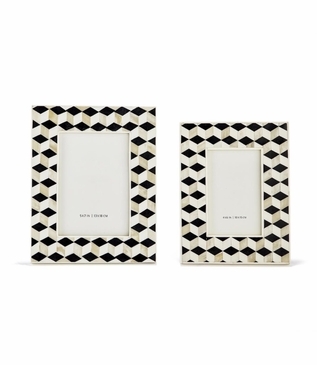 Crafted of bone and resin, the frames can be placed vertically or horizontally. Sold as a set of two. As with any natural product, variations in bone coloration are to be expected and considered part of the piece's character and charm.